Renato Baretić (Zagreb, 1963) is a journalist and writer. He has an incomplete degree in Comparative Literature and Phonetics at the Faculty of Humanities and Social Sciences in Zagreb, having also briefly studied political sciences and journalism. Baretić used to work as a warehouse assistant, assistant repairman of household appliances, assistant tile-layer, sales agent, street stall seller and worker in a factory of textile machines. 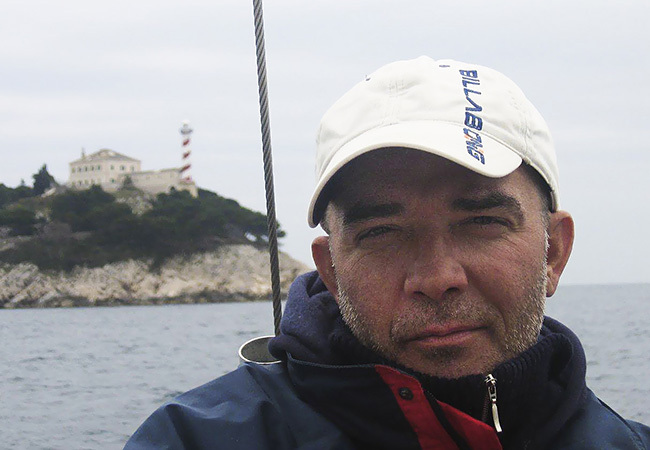 He periodically works as a film and TV scriptwriter, copywriter, journalist and author of questions for the most popular Croatian TV quiz shows. Co-founder and art director of the storytelling festival Pričigin in Split and former leader of the movement for cultural revival of Croatian islands. Member of the Croatian Journalists Association, Croatian PEN Centre and Croatian Writers’ Association, he attended literary residency programs in Belgium, Austria and Turkey. His novel Eighth Commissioner won five major national prizes for fiction. Eighth Commisioner shows us how nothing is the way we think it is. Baretić introduces a whole new meta-level of the text itself.